ALP’s 50% renewable electricity policy was released in December. It’s an excellent policy that reveals how much work climate change spokesman Mark Butler has put in. Electricity is responsible for about 32% of Australia’s carbon emissions and the policy would/will reduce those emissions by about 60 Mt (megatonnes). The new element of the policy is a sketch of the 45% emissions reduction target by 2030. If the EITE (emissions intensive trade exposed) sector is excused from making any contribution, then we will be surprised if the total of all ALP policies can bring about more than 100 Mt of emission reduction. We get a less than 20% carbon reduction from the announced policy. Actually, we only add up 15%, but electric vehicles and changes in land clearing could assist as well. Of course, the big issue is EITE business. Our table is calculated on the basis of total exemption, but clearly, if the world is going to decarbonise rapidly – and it is – the EITE sector cannot escape decarbonisation requirements forever. ALP policy is for doing the same as international competitors in this sector. The truth is that aiming at the average tends to lead to the average not moving. This note proceeds by quickly looking at emissions by source, then the recent announcements on the 45% announcement and a brief reminder of the previously announced electricity policy. Only a few points have really been released about the 45% emissions reduction policy. The plan covers non-electricity facilities emitting more than 25 Kt and those facilities will have to reduce emissions by 45%. Emissions-intensive, trade exposed industries will have “tailored” policies that conceptually allow them to face comparable impacts as international competitors. Good luck with that, but management in those industries will see it as being the thin end of the inevitable wedge. It is not a blanket exemption, but in the short term, it probably will be seen as such. potentially buy generation offsets. This is the most important leg as it will connect the electricity sector back to the broader emissions target and allow extra achievement in electricity to be properly rewarded. Of course, there is no detail. According to the National Greenhouse Accounts, there were 291 facilities with emissions over 25 Kt and totalling about 335 Mt. Based on our general knowledge of the name of the facility and its business, we classified the top 100 of these facilities into electricity sector, EITE or other. It's really only the “other” sector that faces the certainty of being required to cut by 45%. ALP’s 50% renewable electricity in the NEM by 2030 is, in our view, a well thought out, clearly achievable policy that will lock in reasonably rapid decarbonisation of electricity generation and assist in building a “fit for purpose” 21st-century grid. The electricity policy works through an existing institution — the CEFC has clearly been developed with an eye to progressing AEMO’s Integrated System Plan (ISP) and to overcoming difficulties in building out a 21st-century transmission system. 2. Establish an “Energy Security Fund” with $5 bn of capital which will explicitly use the ISP as its base to develop transmission infrastructure including into renewable energy zones. Its becoming clearer and clearer that this is the most important element of the policy or at least as important as the reverse auctions. Here at ITK, we are 100% supportive of this policy suite. Here at ITK, we suggested in 2016 in a RenewEconomy note using the CEFC to run reverse auctions. As far as we know, this was the first public call for using the CEFC to do this. The auctions incentivise competition, provide visibility and this, together with the revenue guarantee, drives down costs to consumers. It will certainly require the CEFC to be efficiently run. Reverse auctions have disadvantages, increasing the influence of Government ownership, but on balance we like them. We’ve also written several articles over the years jumping up and down about the need to develop transmission and how getting transmission done in Texas made the development of wind and now solar much quicker. The slowness in developing transmission is the single biggest factor holding back 50% renewables in Australia. In 2016, we were promoting a South Australia–NSW interconnector. As an indication of how long it takes, that project is still yet to satisfy all the regulatory tests. Batteries at the boundary of the grid – that is behind the meter – are broadly more valuable to consumers and to the system than those located at the other end of transmission lines. 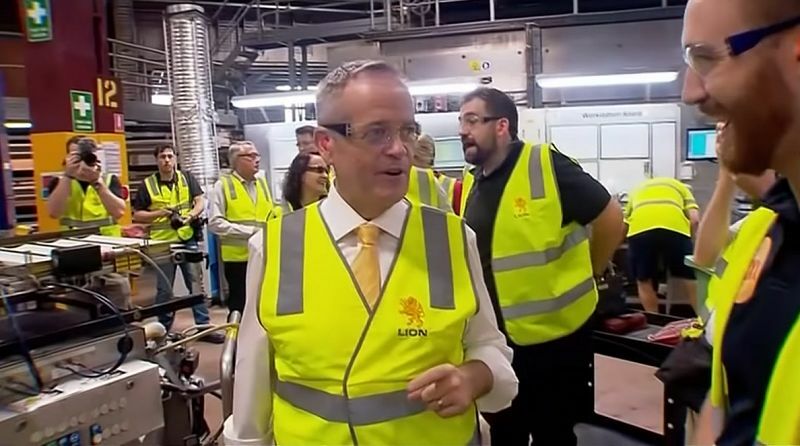 This article was originally published in RenewEconomy on 4 April 2019 under the title 'Labor’s emissions reduction policy: Does it really add up?’ and has been republished with permission. Environmentally friendly. Subscribe to IA.